Run out of clean clothes? These laundry services will wash and return them on the same day – and they pick up from your doorstep too. Instant, reliable and quality-controlled, they will pick up and drop off your clothes at no additional cost. You can choose between being billed per item (their rates start at around INR 20 per piece for washing and steaming) or in weight (around INR 75 per kg). They can wash and iron anything from apparel to bed linen and the charge for steam pressing is as low as INR 5. Double ticks for the good packaging. Never thought your phone could help you with the laundry? Now it can – the Wish2wash app gets your laundry done in three simple steps. 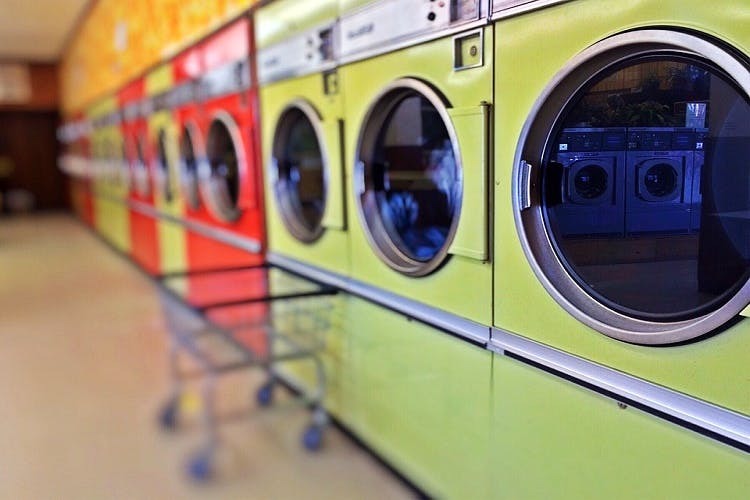 The app searches for the best laundry providers using your location, budget and the service you want. There’s even a discount if you drop in the laundry yourself. No need to panic when you don’t have clean work clothes for the next day. Located in Salt Lake Setor 1, UV Wash operates Monday through Saturday. They provide eco-friendly wash-and-dry facilities. Nothing to wear for date night? Swiss Laundry’s Express Service takes special care of designer garments, use German chemicals and imported machines to ensure that their super-fast service doesn’t mean a compromise on quality control. You can even track your order online! Look out for you nearest outlet – they have multiple ones across the city. A renowned, and old, name in the business, if you have a bulk order Bandbox will pick it up and deliver it too. They do dry cleaning as well as washing, replacing buttons and the works. They are a good option to call to reduce your cost (and effort) when you have a huge pile of laundry. Dip N' Dry is Kolkata's first live laundry and dry cleaning store with counters to see how your clothes are sorted, cleaned and pressed. This awesome laundry can not only deliver your clothes cleaned and pressed within 24 hours, but also promises to use perc-free (a health hazardous chemical that is used in most traditional dry cleaning) methods to clean your clothes.